I had an opportunity to revisit Edmonton this past autumn while on a conference. I really like this city, for some reason it appeals to me, maybe it is because it is a sports town, or because of tourism assets within and outside the city. I especially enjoyed touring the Ukrainian Village as well as our visit to Elk Island National Park; this was my first up close instruction to bison. One of the main reasons I like Edmonton is because the city appeals to my taste buds. It is, (in my opinion) a multi-cultural community and this shines through in the many assortments of restaurant’s available. 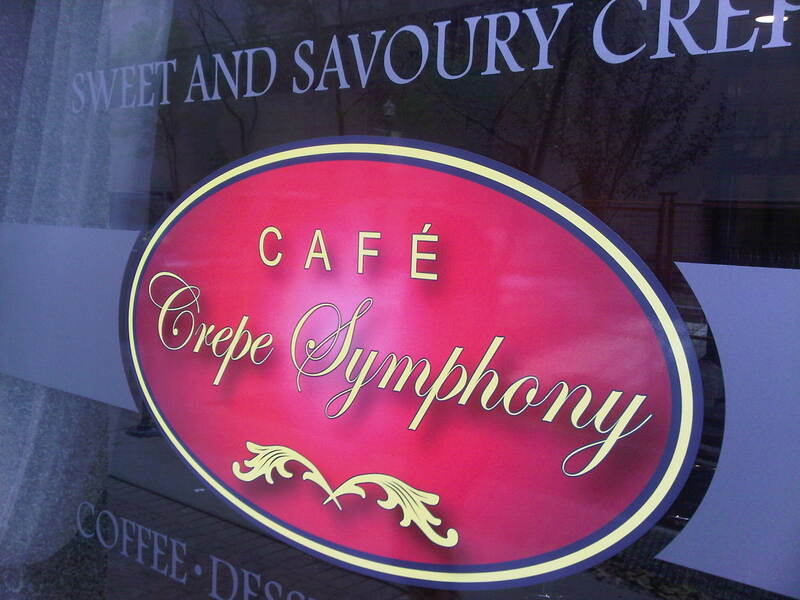 One of the places I visited was Crepe Symphony which is downtown and just off Jasper Ave. It is a small café with huge character, added to the appeal was the warm greeting I got from the server who was from Britain (I think). 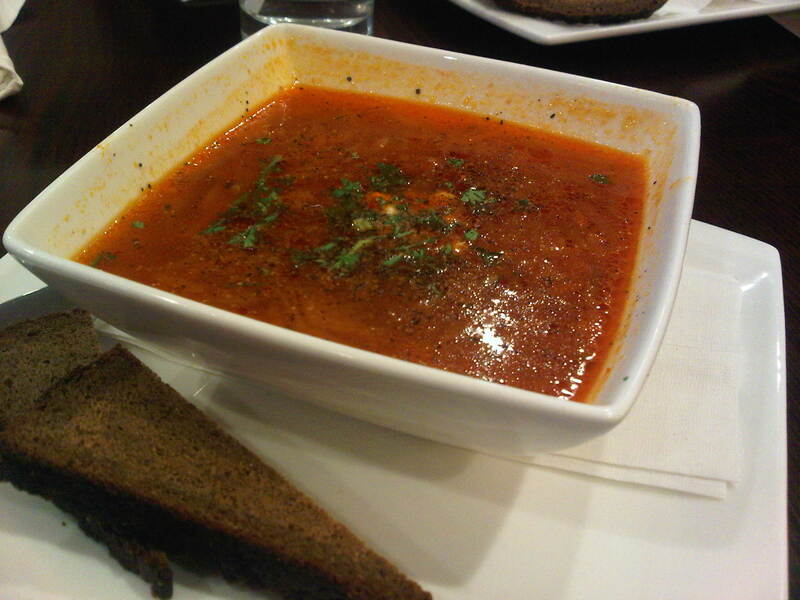 Once relaxed and had an opportunity to peruse the menu I decided to start with a nice bowl of Borscht. I have been meaning to try this soup for a long time but there are not a lot of restaurants back in NL that serve it so I jumped at the opportunity, especially since the chef and owner was from Russia. The flavor was very pronounced and had many layers; the slight earthiness from the beet gave it a unique aftertaste that was pleasant. I could of just ordered another bowl and call it a day, but this was a crepe café, so, I ordered a crepe. The Borscht was worth waiting all these years for! 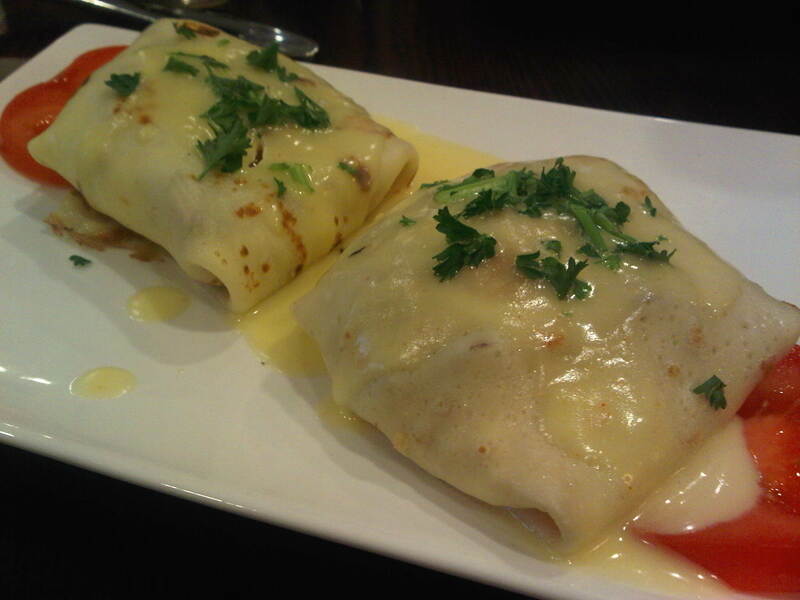 Since it was around brunch time I ordered a breakfast crepe, ham, egg, wrapped in a delicious crepe with a wonderful drizzle of hollandaise over the top. It was savory and the portion was large enough to get me through the rest of the day. breakfast crepe was packed with flavor and was a hearty meal for the rest of the day. Corridor to the washroom had a door open to the street or ally way and the vehicle fumes were a little overwhelming. (please note the smell was not in the café) The washroom was clean and neat in appearance. If travelling to this amazing city you have to check out Crepe Symphony, a jewel in downtown Edmonton.